At this point, we’re all aware of the importance of building and maintaining a solid digital presence for your business and the positive impact it can have on growing your company. Well managed social media accounts have transformed otherwise small accounts ran by hobbyists into successful businesses with a national or even international presence. 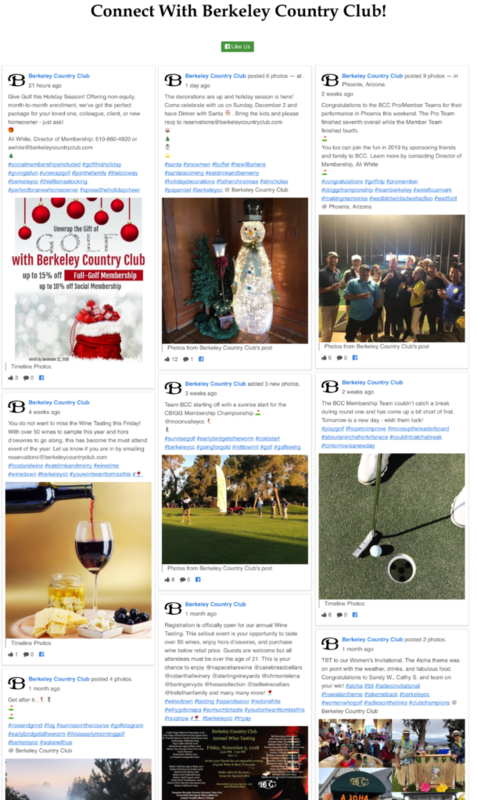 Courses like Berkeley Country Club in central California does a fantastic job managing their social media platforms and keeping followers engaged in their content . After scrolling through their various successful social media pages one thing is definitely evident, these pages make sure that their content is consistent and plentiful. 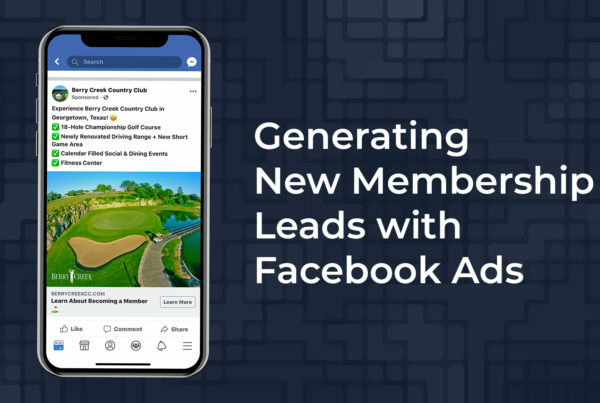 While most of us do not have the time and resources required to manage large social media pages, we at Long Drive Agency are continuing our effort to make managing and growing your digital presence as easy as possible. 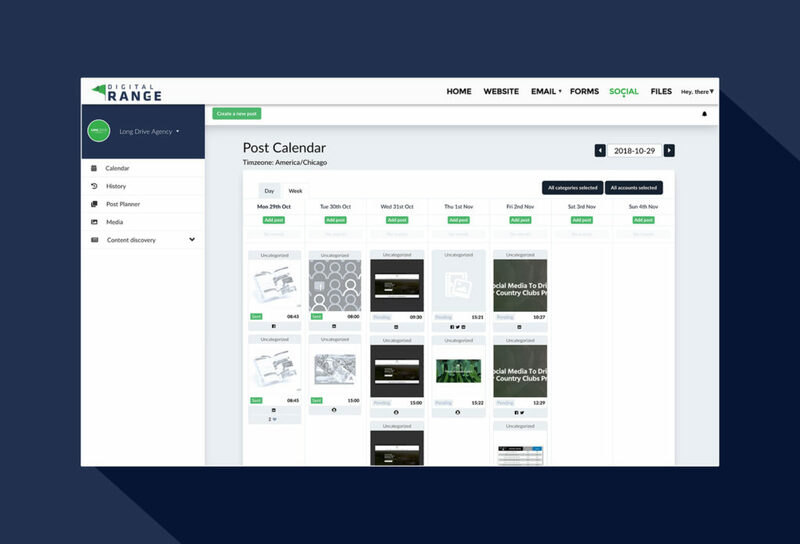 With our newly released Range SOCIAL feature on Digital Range is designed to be an easier way to schedule posts, analyze performance and manage your properties social media accounts in one place. This new feature will give you the ability to have a strong and consistent digital presence that is required to stand out from the crowd. Listed below are a few of the helpful tools that this new app features. Thanks to the digital age and the introduction of web analytics, simply opening up Facebook and writing a new post from time to time does not quite cut it anymore. A simple Google search will inundate you with hundreds of studies trying to make sense of the algorithms used by Facebook and others in an attempt to find the most efficient and effective way to reach your followers. Hubspot put together a study to analyze the impact of both the time of day of postings and the frequency in which you post, while the data varies between the various platforms, patterns do emerge and show the value behind posting on a somewhat consistent schedule. The use of the post scheduling tool through Range SOCIAL allows to schedule posts on all of your social accounts at once and they will be queued to post at your preferred times all inside a easy to use calendar format. Any active social media user can tell you that managing accounts, especially Instagram, produces a ton of visual content such as .jpg and .mp4. Staying neat and organized is always an important part of effectively managing your digital presence. 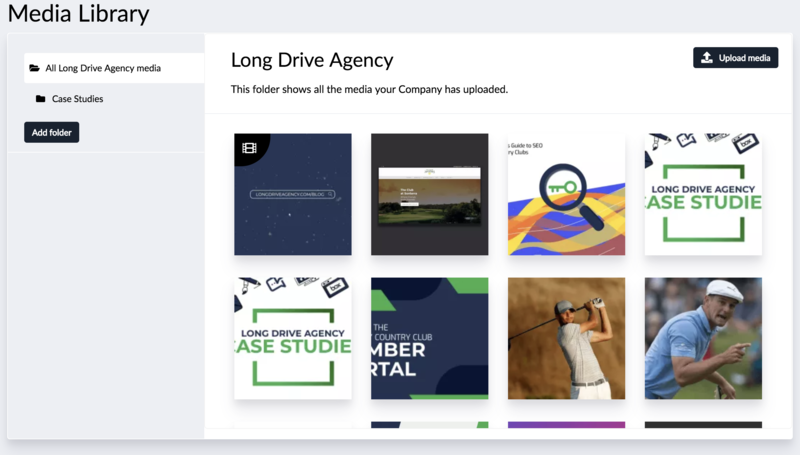 Range SOCIAL gives you the ability to store all of your content in a media library for quick access whenever needed furthermore you can grant access to other team members with accounts to grow your social media team. 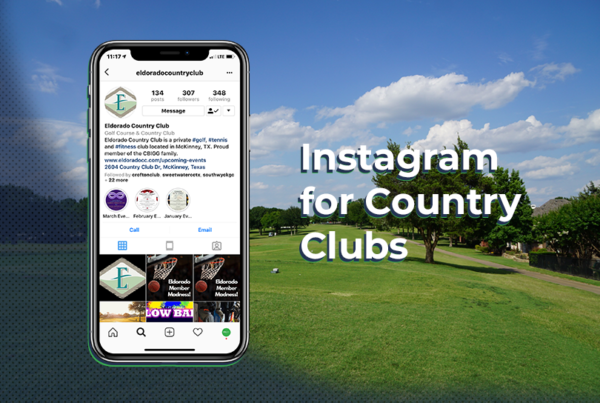 While your club’s social media accounts are great platforms to advertise your company, the content you provide for your followers does not always have to be business related. 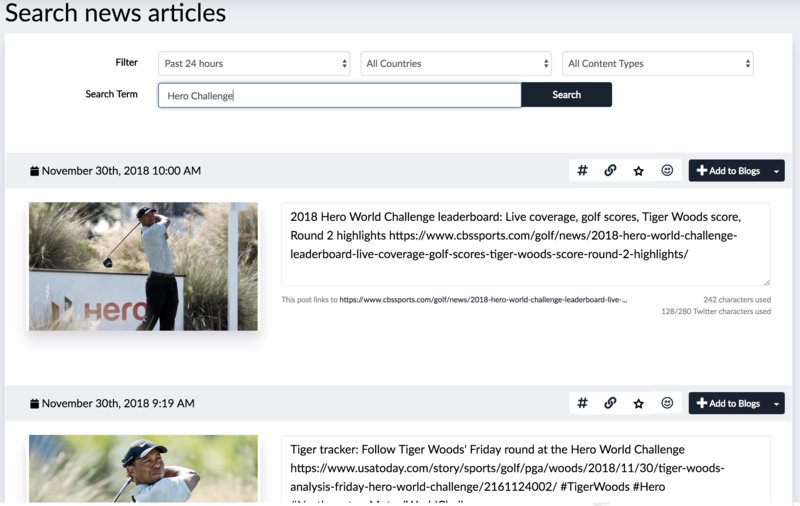 Although a certain amount of business specific content is important to make sure your account accurately illustrates your club and the services provided, a fair amount of topical posts and articles that would be of interest to your followers keeps them engaged. Using a simple keyword search you can find relevant articles and videos to post to your followers. Quite a bit of what makes certain Instagram and Facebook pages as popular as they are is the personality that the pages take on through the people that manage them. 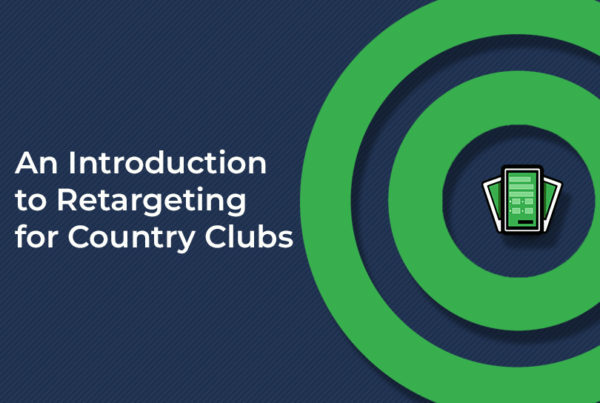 Posting topical and sometimes funny content while still staying focused on your business gives a humanized feel to your club that ultimately makes your club more approachable.